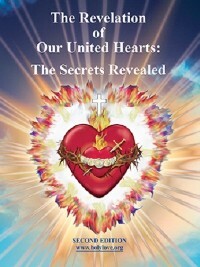 “The Revelation of Our United Hearts” booklet (ENGLISH). Prayer Card: Complete Image of the United Hearts (with Promises on Reverse). 10 Pack. Booklet: The Revelation of Our United Hearts booklet (ENGLISH), Second Edition. We are shown the way of SALVATION, HOLINESS, PERFECTION, CONFORMITY and UNITY through the United Hearts of Jesus and Mary, the answer to all of the problems in the world today. A key booklet of messages dictated by Jesus with instructions given to make this devotion known around the world. These Revelations initially began on October 16, 1999 on the Feast Day of St. Margaret Mary Alacoque, to whom Jesus revealed his Sacred Heart in the 1600s. The Revelations are completed through the Revelation of the United Hearts given through visionary Maureen Sweeney-Kyle. ...today, man continues in his sin. Many fail to discover the path of salvation and fall prey to Satan's deceit. Therefore, I have sent My Mother ahead of Me with the Message of Holy Love. I have come after Her, revealing the message of Divine Love and the complete message of Our United Hearts. Softcover, 4-color cover, 17 pages. Front cover measures 4.5 x 6 in.